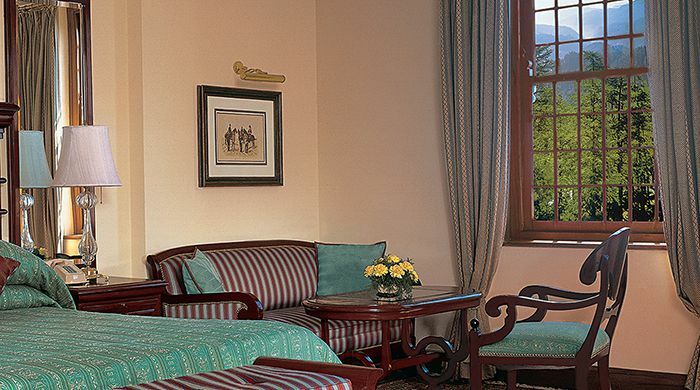 Over 130 years old, The Oberoi Cecil is a hotel with a heritage spanning back to the times of the British Raj, when it was an exclusive hotel known for its fabulous ballroom dances and fashionable clientele. 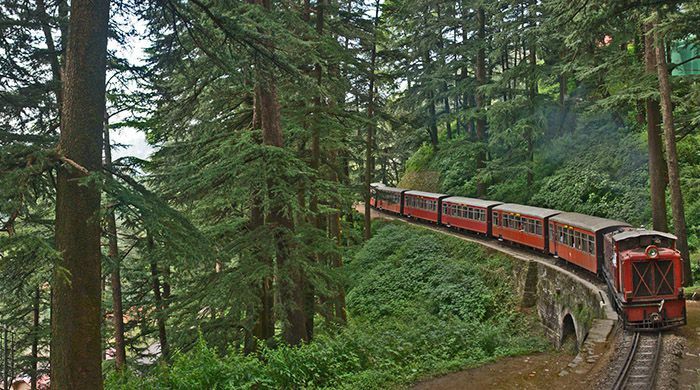 Situated on the bustling Mall at Chaura Maidan, Shimla, it's 7000 feet up in the Himalayas and is very much part of Shimla's colonial history. 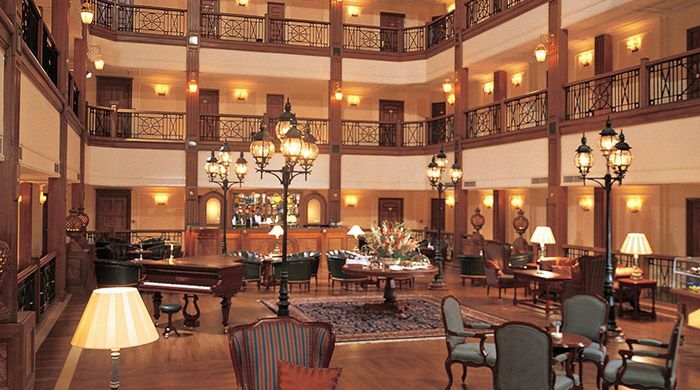 The hotel has been restored to its original grandeur with wood floors, period furniture, and crackling fires. 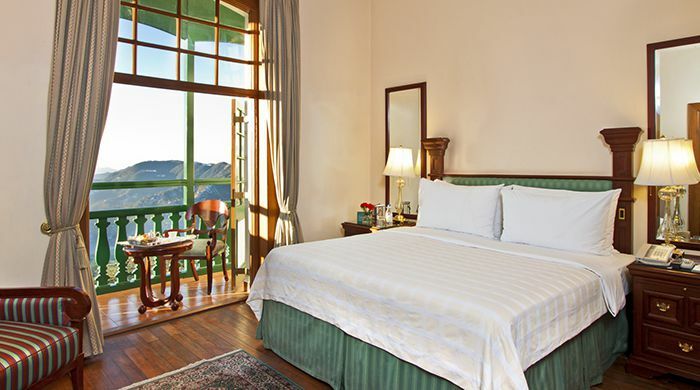 All rooms and suites are decorated in classic colonial style, and surround the central sky-lit atrium offering spectacular views of the terraced garden, towering cedar trees or the Shimla valley. 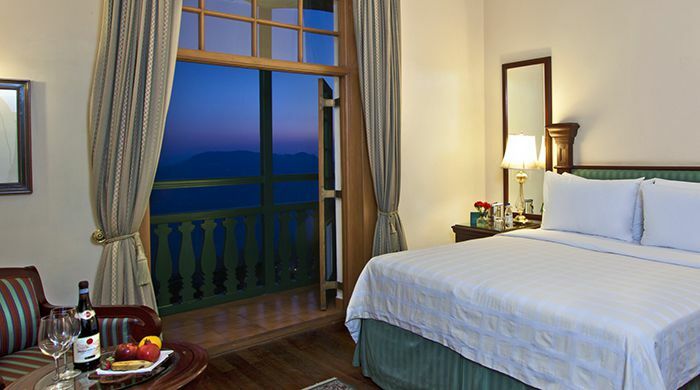 Each room has a two-poster bed, Burmese teak floorboards, and leather-topped bureau desk. Bathrooms are tiled in deep red granite an evergreen marble, with full-length bath and vari-pressure shower. 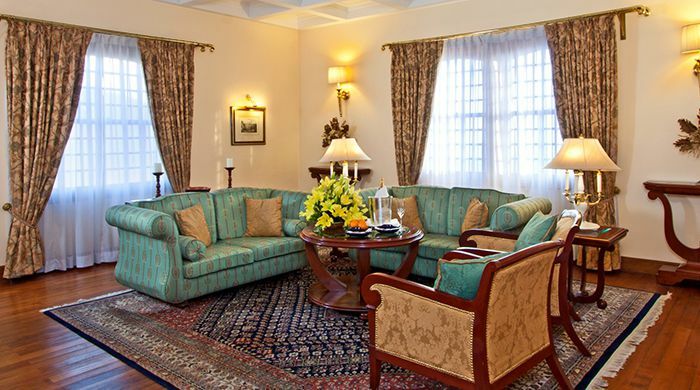 Rooms and suites are also air-conditioned in the summer and heated in winter. 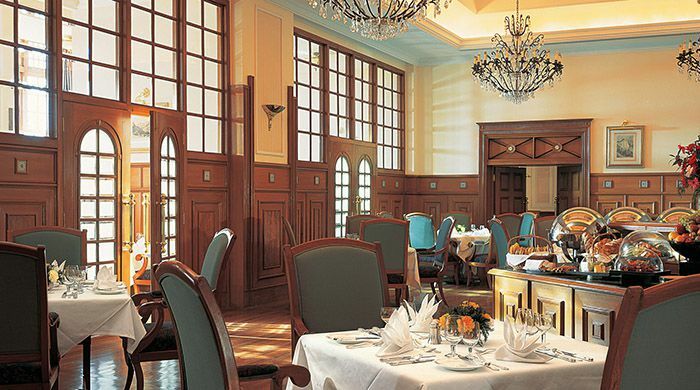 The Restaurant is located in the hotel's chandelier-lit former ballroom. With views over the mountains and cedar-covered valley, tables are scattered in wall and window booths, or spread around the main hall. 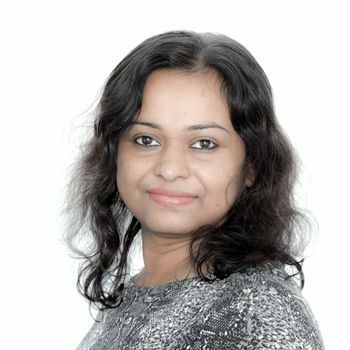 The extensive menu includes international, pan-Indian and local Himachali dishes. 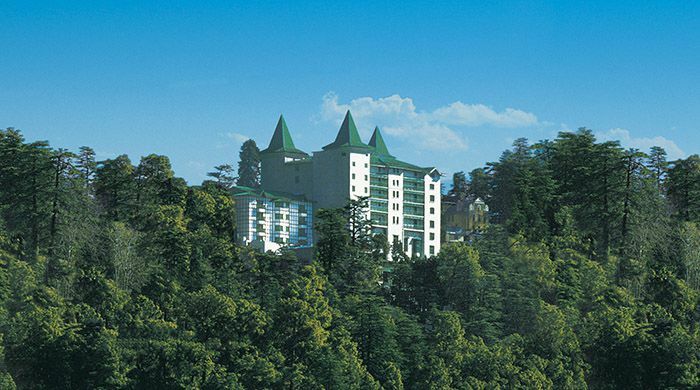 The Oberoi Cecil has a spa, which offers fantastic views across the Shimla valley. Treat yourself to a massage, revitalizing body or skin and nail therapy. You can also workout on the machines in the fitness centre, or immerse yourself in the heated pool. 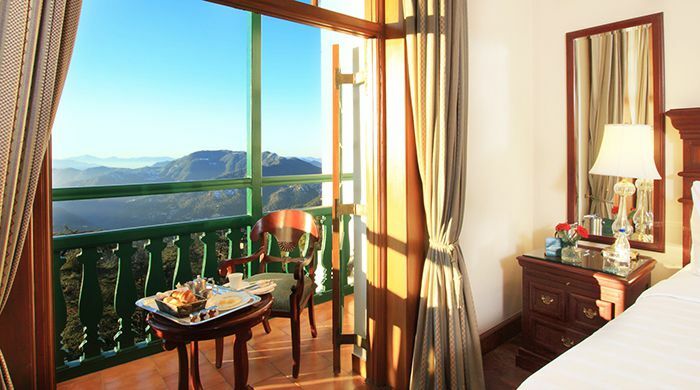 The hotel also offers a range of experiences, from a full-day colonial heritage tour of Shimla, to a train ride to Taradevi on the UNESCO world heritage Kalka-Shimla train line.